A family consisting of a jobless father, a domestic mother, and eight children with different personalities. 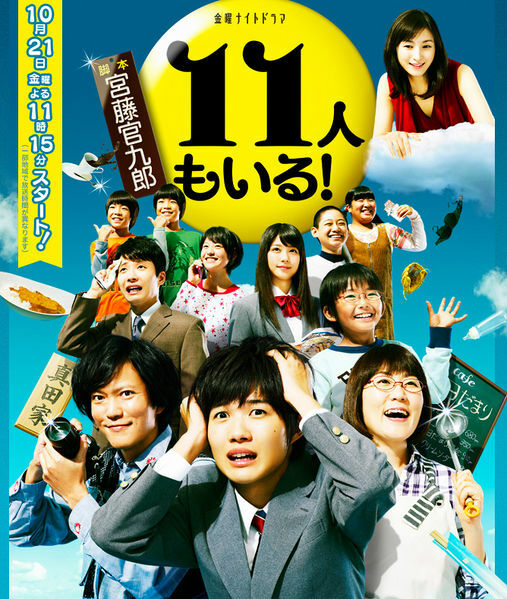 As the title suggests, the family also has a mysterious “11th member.” Kamiki plays the eldest son Kazuo, a high school student who helps support the family through part time jobs serving at a gas station and doing newspaper delivery. He clashes with his father (Tanabe Seiichi), an artsy photographer with no real earning power. Mitsuura Yasuko plays the part of an obedient wife, while Kato Seishiro plays the shy youngest child who can see a ghost (the “11th member”) but doesn't tell the rest of the family.